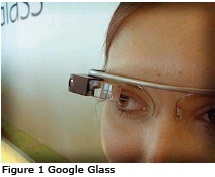 The emergence of Google Glass, a prototype for a transparent Heads-Up Display (HUD) worn over one eye, is significant. It is the first conceptualization of a mainstream augmented reality wearable eye display by a large company. This paper argues that Glass’s birth is not only a marketing phenomenon heralding a technical prototype, it also argues and speculates that Glass’s popularization is an instigator for the adoption of a new paradigm in human-computer interaction, the wearable eye display. 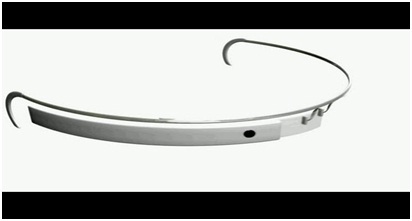 Google Glass is deliberately framed in media as the brainchild of Google co-founder Sergey Brin. Glass’s process of adoption operates in the context of mainstream and popular culture discourses, such as the Batman myth, a phenomenon that warrants attention. Project Glass is a research and development program by Google to develop an augmented reality Head-Mounted Display (HMD). The intended purpose of Project Glass products would be the hands-free displaying of information currently available to most smartphone users, and allowing for interaction with the Internet via natural language voice commands. These glasses will have the combined features of virtual reality and augmented reality. Google glasses are basically wearable computers that will use the same Android software that powers Android smartphones and tablets. Google Glass is as futuristic a gadget we’ve seen in recent times. A useful technology for all kinds of people including handicapped/disabled. Google Glass is a prototype for an augmented reality, heads-up display developed by Google X lab slated to run on the Android operating system (see Figure 1). Augmented reality involves technology that augments the real world with a virtual component . 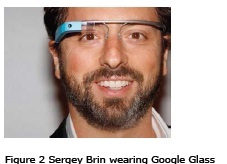 The first appearance of Glass was on Sergey Brin who wore it to an April 5, 2012 public event in San Francisco. Provocative headlines emerged such as “Google ‘Project Glass’ Replaces the Smartphone with Glasses” and “Google X Labs: First Project Glass, next space elevators?” . A groundswell of anticipation surrounds Glass because it implies a revolutionary transition to a new platform, even though release for developers is only planned for 2013. At the time of our writing this paper, it is not available for consumers who can only see it in promotional materials. Heads-up eye displays are not new. The Land Warrior system, developed by the U.S. army over the past decade, for example, includes a heads-up eye display with an augmented reality visual overlay for soldier communication. Many well-known inventors have contributed eye display technology, research or applications over the past two decades including Steve Mann (Visual Memory Prosthetic), Thad Starner (Remembrance Agent), and Rob Spence (Eyeborg). Commercially, Vuzix is a company that currently manufactures transparent eye displays. Science fiction and popular references to the eye display are almost too numerous to list, but most are featured in military uses: Arnold Schwarzenegger’s Terminator from the 1984 film had an integrated head’s up display that identified possible targets, Tom Cruise’s Maverick in Top Gun had a rudimentary display to indicate an enemy plane’s target acquisition and current G-forces, and Bungie’s landmark video game series Halo features a head’s up display that gives the player real-time status updates on player enemy locations, shield levels, remaining ammunition and waypoint information. In most popular culture uses, a head’s up display is transparently overlaid upon the real world. However, in video games, the display is considered to be part of the entire game interface. While many film and television shows are adding HUDs to their storytelling to add a science fiction or futuristic feel, there is a movement in game development away from any artificial HUDs as many consider them to be “screen clutter” and block a player’s view of a created world. The video game Dead Space by Electronic Arts is an exemplar of this new style: traditional game information such as health and ammunition have been woven into character design, allowing for an unobstructed view. 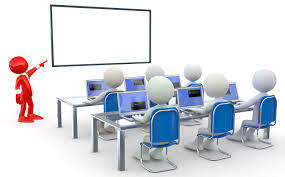 The device will probably communicate with mobile phones through Wi-Fi and display contents on the video screen as well as respond to the voice commands of the user. Google put together a short video demonstrating the features and apps of Google glasses. It mainly concentrates on the social networking, navigation and communication. The video camera senses the environment and recognizes the objects and people around. The whole working of the Google glasses depends upon the user voice commands itself. Sergey Brin has been loosely associated with Batman since the fall of 2011, setting persuasive discursive grounds for actions that Google takes. A compelling character in the narrative that charts this technology’s emergence, the name “Sergey Brin” appears 713 times in the corpus of 1,000 print and online news articles about Google Glass. Often the story concentrates on Brin’s activities, comments, whereabouts, and future expectations amid news of a technology that only exists as an artifact of the press for the public. Rupert Till explains the definition of how an individual must amass popular fame in order to form a “cult of personality”: A celebrity is someone who is well known for being famous, and whose name alone is recognizable, associated with their image, and is capable of generating money. . . For a star to progress to a point where they are described as a popular icon requires their achievement of a level of fame at which they are treated with the sort of respect traditionally reserved for religious figures. In order to be described as a popular icon, a star has to become a religious figure, to develop their own personality cult and recruit followers.  Easy to wear and use.  Sensitive and responsive to the presence of people.  Fast access of maps, documents, videos, chats and much more.  A new trend for fashion lovers together being an innovative technology.  A spectacle based computer to reside directly on your eyes rather than in your pouch or pocket. Google. Project Glass: One day… YouTube Available at: https://www.youtube.com/watch?v=9c6W4CCU9M4.